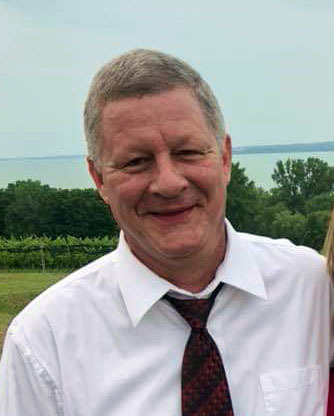 Obituary for Robert B. Cleveland | Bednarsky Funeral Home Inc.
Robert B. Cleveland, 53, beloved brother, passed away on March 19, 2019. He was predeceased by his mother, Patricia Cleveland, in 2012, his brother Daniel Cleveland, in 2015, and his father, Albert Cleveland, in 2016. He is survived by his brother Mark (Diane) Cleveland; three sisters, Mary (Tom) Whitbeck, Rebecca Shattuck, and Joanne (George) Banko. Robert is also survived by many nieces, nephews, and cousins. He was a 1983 graduate of Johnson City High School and a Senior Airman for the United States Air Force from 1984 to 1988. Rob was employed by Sidney Hospital as a radiologic technician. He loved hunting, fishing, and on-line games with friends. Rob will best be remembered for his sense of humor and love of animals. We Love you Rob, you will be forever in our hearts. We will miss you dearly, brother. Funeral services will be held privately with Rob's family. Arrangements by Bednarsky Funeral Home, Inc.